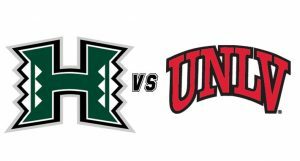 Your weekender package includes round trip air on American Airlines, airport transfers, 4 night at Golden Nugget Hotel and Casino, official UH tailgate party, sideline game tickets, transfers to and from Sam Boyd Stadium, our exclusive “Back in Black” t-shirt and all taxes and fees! Panda Travel staff will be on the ground all weekend long to assist. 11/14/19 – Depart Los Angeles on American Airlines flight 501 at 4:55 pm and arrive in Las Vegas at 6:140 pm. 11/18/19 – Depart Phoenix on American Airlines flight 694 at 2:59 pm and arrive in Honolulu at 6:40 pm.